Search Engine Optimization has become the hottest topic in town since hundreds and thousands of companies and blogs are fighting for catching your attention. Big corporations are willing to shell out millions of bucks for SEO updates and Site Audits every year. ● Innovative methods: Daily posts “What you should know about us” feature marketing and tech news. This comes out as a great way to begin your day. ● Useful content: The primary reason behind the development of huge readership of popular blogs is their useful content. Things can be that simple if you are really into this. ● Unique design: The uniqueness of your blog’s design is almost as important as the constructive content. The motto is to make your blog usable and attractive at the same time. High quality photographs and graphic with illustrations helps you add to your readership. ● Building of community: The top bloggers in the industry make it a point to nurture their loyal followers by being actively involved in the process. It’s is nice to have new search engine traffic coming by, but what is more important is to focus mostly on the readers that are dedicated to your blog and make them want to come back to it. ● Social platform: In recent times, the social platform has become a huge boon for the bloggers who love their art and want to share it with the world. When they create something new, they make sure to put it across in sites like Twitter, Facebook, etc. 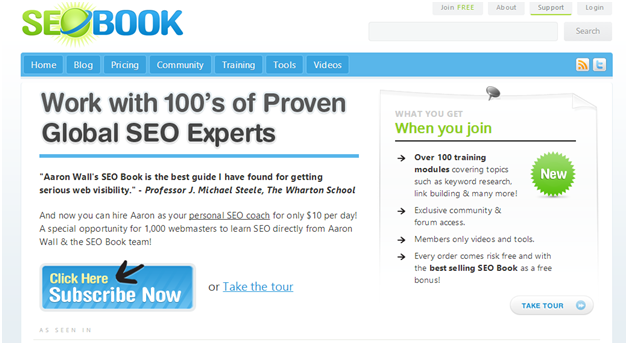 There is a massive source of information that this blog shares on everything that you ever wished to know about SEO. They have videos of ‘Whiteboard Friday’ that consists of useful tutorials and give away insights on a wide range of topics dealing with SEO. Moz co-founder, Rand Fishkin, gives in his personal touch by writing a blog himself that gives a glimpse of the whereabouts of Moz. This blog offers highly useful suggestions and innovative tactics, but most recently, its focus has been on the trends of SEO industry which has been shifting, and also a considerable amount of editorials on establishment-critics and engine. Their update frequency is 1-3X per week. Barry Schwartz, the lead man of the blog, has been maintaining the flow of recaps, highlights, and roundups, SEO negotiations, and industry news from various discussions around the world regarding search engines. The topics are very varied as well as interesting and useful, that makes its readers browse through once in a day or two. Its update frequency is as high 3-4X daily. The journal is popular due to its tendency of striking the perfect balance between strategic and tactical articles, coverage of industry news, and anything that the SEL misses out on is sure to be found here in a jiffy. They are also famous for the roundups of resources and tools, which can be considered quite useful from the perspective of a analysis and competitive research. It updates about 2-3X daily.